Receiving online payment has become also very important so as to have a quick money transfer from your clients abroad. Traditional money transfer options do not offer you with the same swiftness of transaction as online payments do. 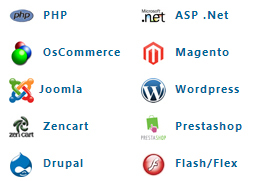 We can integrate your site so that your client can deposit money into your bank account through his credit card.